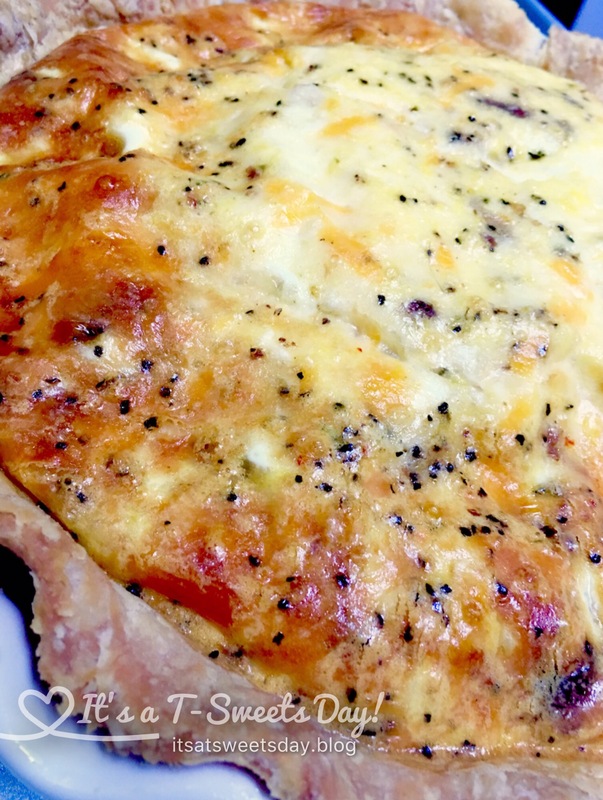 Fantastic Bake Along -Quiche! – It's a T-Sweets day! 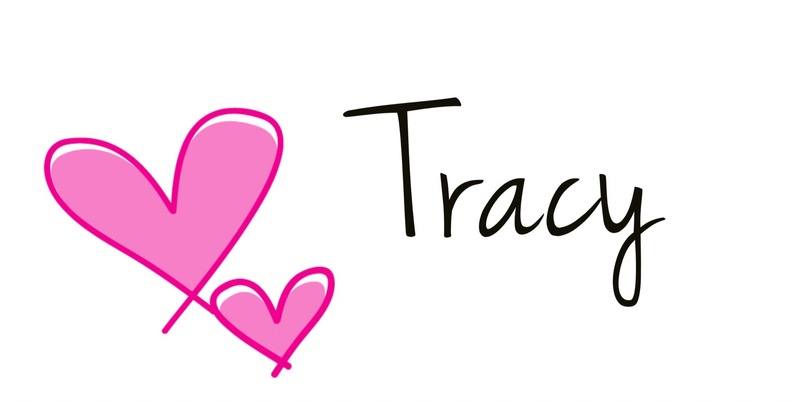 Published on July 15, 2017 July 15, 2017 by Tracy @ It's a T-Sweets Day! This has been an Egg-straordinary bake along! 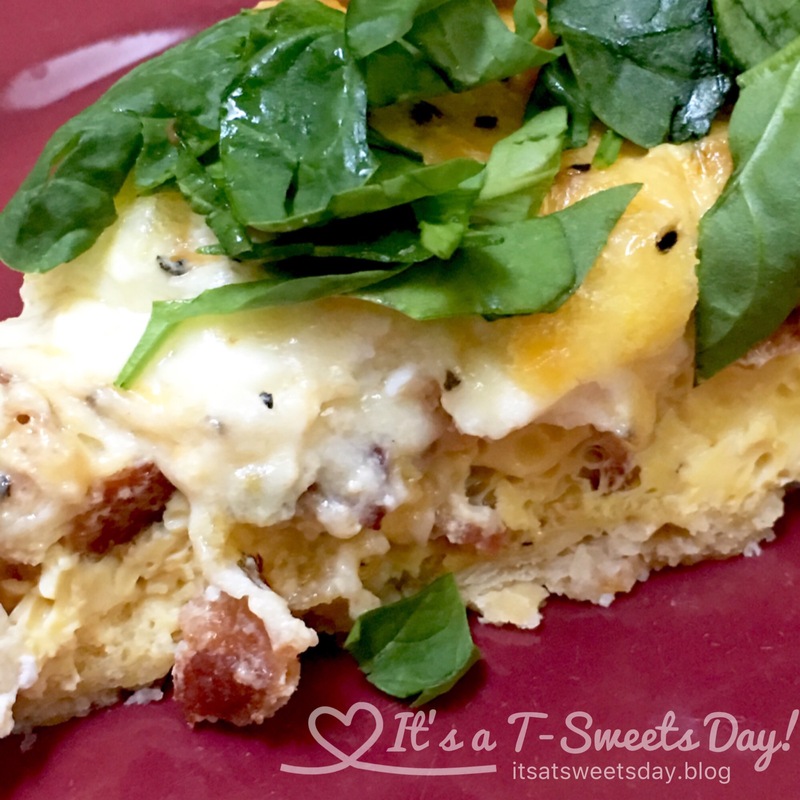 Emma from Emma Crafts Design was this month’s star baker and asked us to make her husbands favorite Quiche. I must admit that I have never made Quiche before. I have eaten it at restaurants, but for some reason I have never given it a try. I can’t believe I have waited so long. It was DELICIOUS!! I started with the crust. Emma rolls hers out on parchment paper, but I am very accustomed to rolling my dough out on a tea towel that I use only for this purpose. 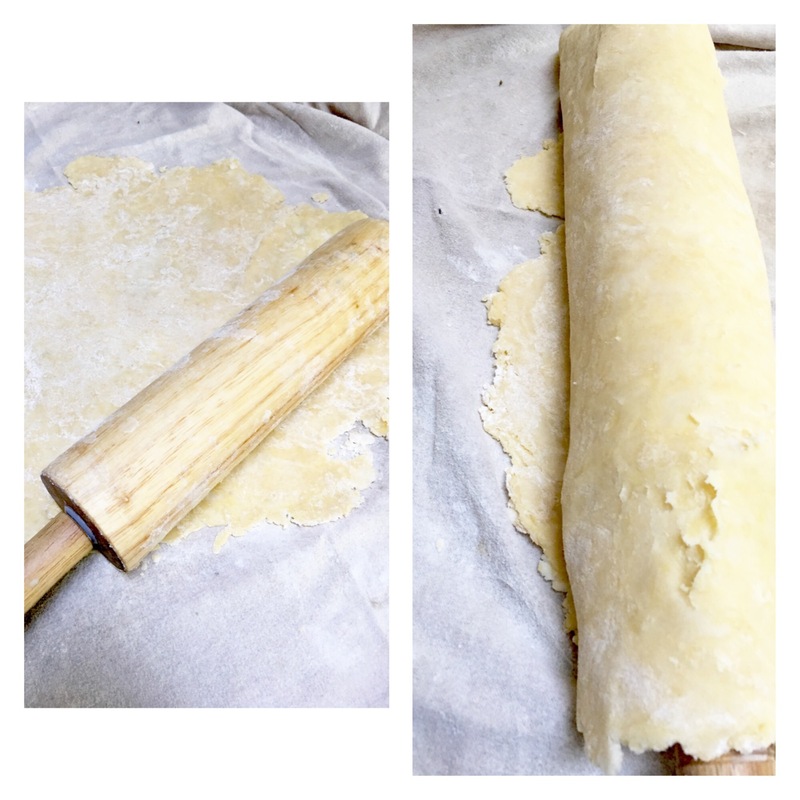 I roll out my dough and then use the tea towel to help me roll the dough up and over the rolling pin. 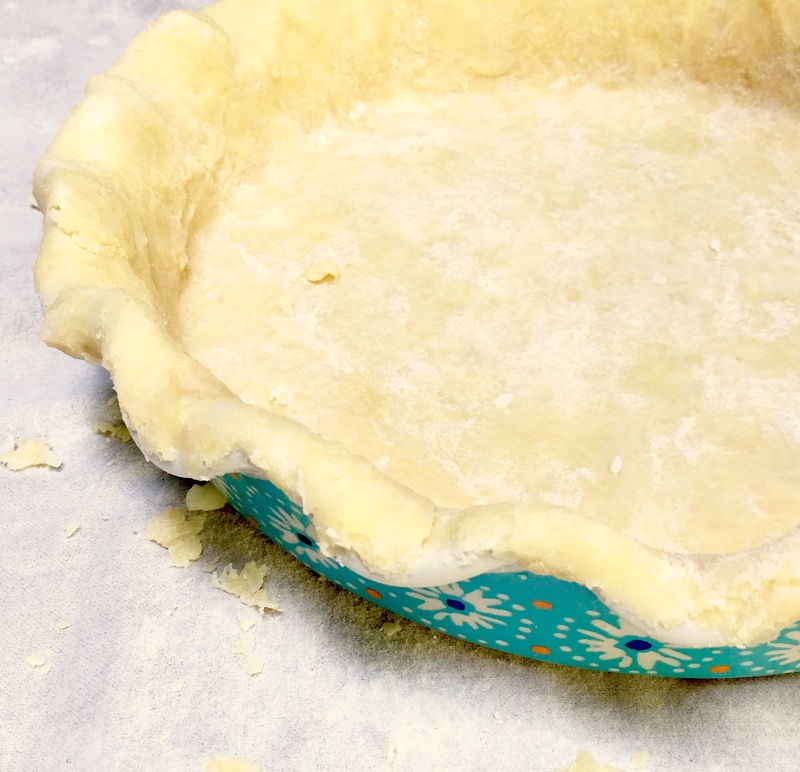 Then I can easily transfer the dough to my pie plate. I cooked my bacon and chopped it fine. I layered the entire shell with the bacon and then poured in my egg, cheese and milk mixture. I had a large pan so I doubled the recipe. I added some chopped spinach to the top and asked myself why I didn’t add it to the eggs? Next time I will! I even think some sautéed mushrooms and fresh tomatoes would taste divine as well. Thank you, thank you for such a delicious recipe and Bake Along Emma!! 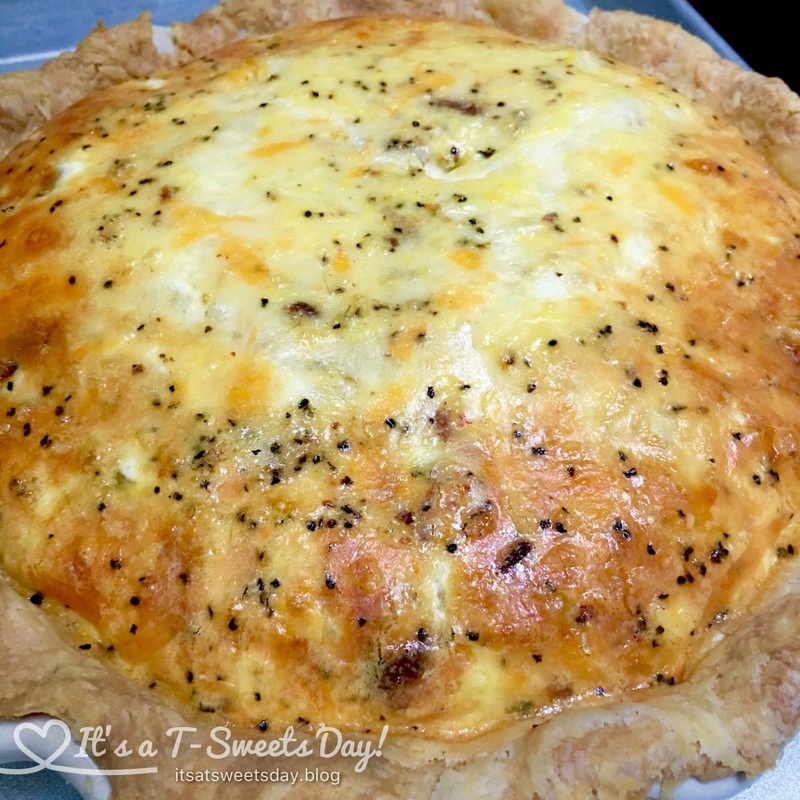 If any of you are interested in making your own delicious Quiche, you can get the recipe here. Why don’t you link up and join us? I am off to check them out! SWEET! YUMMMMM! This looks so good Tracy and I am SO SO sad that I couldn’t bake along!! 😦 When my oven is back in business I will be adding mushrooms and cherry tomatoes to mine!!! Yours looks delicious! Nice and fluffy looking! I like the addition of the fresh spinach on top, that’s a great idea if I ever forget to put it in the filling. Yum! 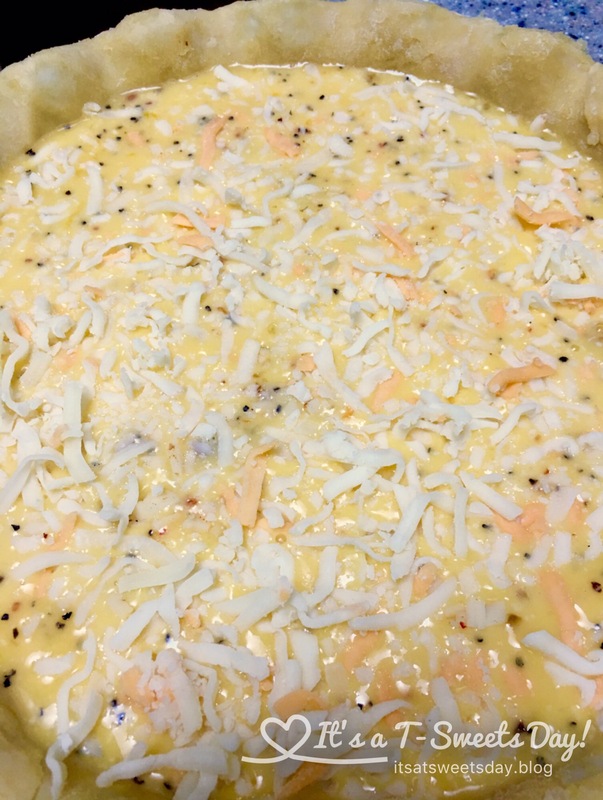 All these quiches are making me want to make another…I finished off the remainder of mine last night for dinner. Mmmmm. I love quiche. I like potatoes in mine. You can never go wrong or mess up quiche. Potatoes! I agree:)!! I will definitely try that next time. Why don’t you join along in the next Bake Along? Oh yea!!! Welcome aboard:). You are going to love it. :)! Looks really good Tracy! I am adding some of last year’s spinach crop to ours for dinner. The dehydrated eggs are rehydrating, so we’ll try half fresh and half dehydrated and see how it goes. We are glad to have them…this summer the garden isn’t so great. Looks delicious Tracy! After getting caught up on all the BALs, I have to give this a go today. They all look so good! We missed you this time Brenna. I hope you do give it a try sometime. It was DELICIOUS! Ah but breakfast is right around the corner! I really really loved this recipe❤️. Thank you for sharing it with us. I just love this Bake Along!